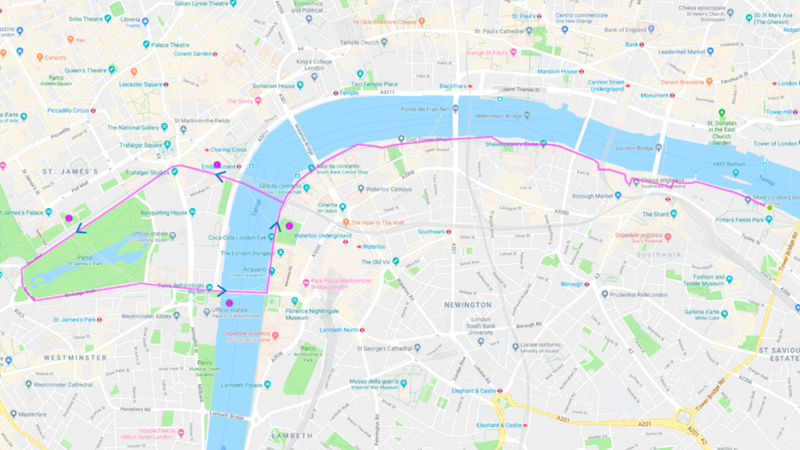 A relay run around central London, involving 24 x 10km loops - it is up to you whether you run one loop, several or all of them. Expect great music, iconic views and new friendships! When does the event start/finish? We will meet at 10pm on Friday 28th September and the first run will begin at midnight - surprise, surprise! Each group will set off on the 10k loop on the hour - please arrive at least 20 mins before your slot to check in, bag drop (if required) and warm up. For your first loop, please arrive 30 minutes early to allow for bib & t-shirt collection. After the last loop (12am),please join us for the Midnight2Midnight Afterparty. All runners from throughout the day go free. Meeting location will be at The Scoop, Queen's Walk, London SE1 2DB, outside of City Hall. Bag Drop is available 0.2 miles from The Scoop at Tokei Martial Arts and Fitness Centre (Lion Court, 28 Magdalen Street, London, SE1 2EN). Please don’t bring valuables as we can't take responsibility for them. Toilets: Public Toilets are behind the Scoop near Caffè Fratelli Parkside (Weaver's Ln, London SE1 2RL). There also public toilets opposite Marks & Spencer London More Riverside. They cost 50p and take 10p, 20p and 50p coins. Please bring change! There will be 5 different route loops used during the run - we challenge you to complete them all! Please note: the routes and time slots below are subject to change. Click the route name to find the Strava gps file! What is the route & events schedule? We've carefully plotted out the routes/times on the below schedule to give you the best experience. We've also got some really great run crews joining us and special events planned, make sure to take a look at the schedule so you don't miss anything! Do I need to complete the loops in a certain time? Runners of all speeds are welcome at this event - we will have 3-4 run leaders for each group, with the last person running 10k in 70 mins. 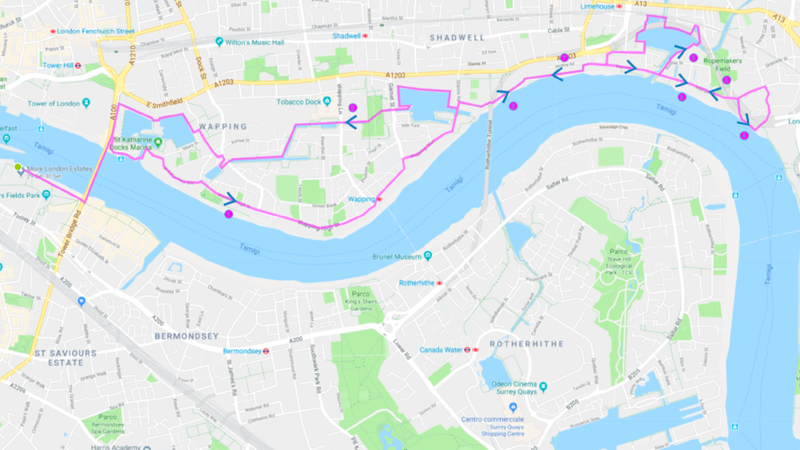 If you expect to take significantly longer than an hour, then let us know at the start and we can also make sure you have a map of the route. If you would like to join a series of consecutive runs, then you will need to be at start/finish before the next run sets off. Can I come to the afterparty? Yes, all runners are invited to join the afterparty in the evening for free! We will be celebrating with awesome music and drinks - please come after the last loop from 12am to 4am. Many runners will run the final loop and then return for the party at midnight. The venue is the Doodle Bar (60 Druid St, London SE1 2EZ). The party will have a DJ and will be in full force after the last loop is done.